The case of a Japanese winemaking couple facing deportation from France has caused an outcry in the country. 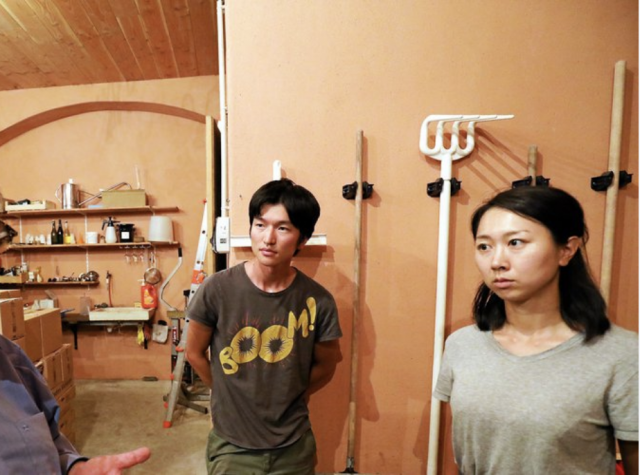 Rie and Hirofumi Shoji (pictured) make a red wine from their 3.5 hectare vineyard near the pretty seaside town of Collioure near Banyuls in Roussillon. Having lived in France legally since 2011, the pair trained in Burgundy for several years before being able to acquire their own domain in 2016. Remarkably, their early efforts have led to widespread acclaim and won them many enthusiastic supporters. Called ‘Pedres Blanques’ (‘White Stones’ in Catalan) the wine is made ‘naturally’ using Grenache and the first vintage (the 2017) has already been picked up by numerous restaurants including the Michelin-starred El Celler de Can Roca over the border in Spain and Le Verre Volé in Paris. Local wine shops are lucky to receive even a tiny allocation, small amounts have found their way to several other countries including the US and Denmark and 75% of the not-even-produced 2018 vintage has already been reserved according to reports. Nonetheless, back in April French authorities issued a deportation order, saying that they do not consider the vineyard economically viable; the suggestion being that the pair could become burdens on the state purse should they struggle to pay their taxes etc. He argued further that the Shojis have shown, for many years, that they have a clear and coherent plan and have not benefitted from state subsidies. Locals involved with the local on and off-trades have been widely quoted as saying what a “shame” and a “great loss” it would be to the area if the Shojis were made to leave. Other commentators have pointed out that the Shojis can hardly be the only winemakers in the region to not be hugely profitable. ‘If France does not want us, we shall leave,” the Shojis are reported as saying. They are, apparently, shocked by the decision. The case is to be heard by a judge in Montpellier this September. A petition calling for the couple to be allowed to remain in France has so far received over 25,000 signatures. This is clearly a racial issue and decision. The French government should be ashamed of this action. But it’s understandable that the arrogant French would pull a sham like this. Best of luck to this hard working couple and their future. If all French are arrogant maybe we should call all English ignorant. Please avoid those sort of prejudice that undermine any of your arguments. I agree with you Jacques. Rash, careless and casual use of wording can lead to hurt and misunderstanding. This kind of shabby treatment of hard working people like Rie and Hirofumi Shoji happens all to frequently in all countries. UK, USA, everywhere. It’s disgusting and shameful. I’m sure it’s some crazy bureaucratic misunderstanding. Good luck to Rie and Hirofumi Shoji in the future. This also happened in Spain, you have to do more paperwork and get a lot obstacle as the local winemaker. I have made experience in 2001 – permit was refused as the wine was to good and they don´t need foreign people making better wines. Now the locals make better wine and we try again and fighting since one year to open a new bodega – but we will get it.